Meet Michael Bryce. He’s a special protection agent, and a damn good one at that. 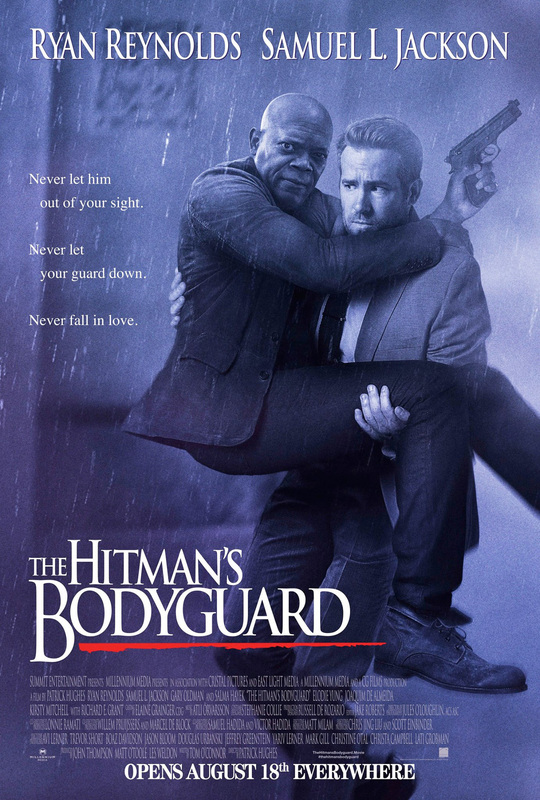 But when Ryan Reynolds’ sharpshooter is assigned the role of bodyguard, one sworn to protect a world-famous assassin (Samuel L. Jackson) by the name of Darius Kincaid, things begin to get complicated. This odd-couple dynamic is the fuel powering The Hitman’s Bodyguard, Patrick Hughes’ zany action romp in which Reynolds and Jackson channel the spirit of Kevin Costner and Whitney Houston. The film’s tongue-in-cheek poster (see below) was enough to pique our curiosity, but Lionsgate has gone one step further today to dispatch the new and frankly hilarious final trailer. Dialling the action up to 11, it’s a tantalizing tease of the studio’s upcoming feature, one that makes no bones about placing Ryan Reynolds and Samuel L. Jackson’s duelling operatives front and center. In fact, their encounter is shaping up to be the cinematic equivalent of an unstoppable force meeting an immovable object, albeit with an added touch of hilarity. But can it go on to become one of summer’s bona fide sleeper hits? We’ll have to wait and see. Also on board here are Daredevil and The Defenders star Elodie Yung (Amelia Ryder), Salma Hayek (Sonia Kincaid), Joaquim de Almeida (Jean Foucher), Kirsty Mitchell, Sam Hazeldine and Richard E. Grant, who was last seen stirring up trouble in Wolverine’s final stand, Logan. Never let him out of your sight, never let your guard down and perhaps most important of all, never fall in love. The Hitman’s Bodyguard shoots for theatres on August 18th. A special protection agent (Ryan Reynolds) is tasked with guarding the life of his mortal enemy, who is one of the world’s most notorious hitmen (Samuel L. Jackson), and taking him from England to the International Court of Justice. On their way, they are on high-speed car chases and boat escapes as deadly assassins are pursuing them and they are forced to work together in order to defeat a ruthless, powerful and bloodthirsty Eastern European dictator.